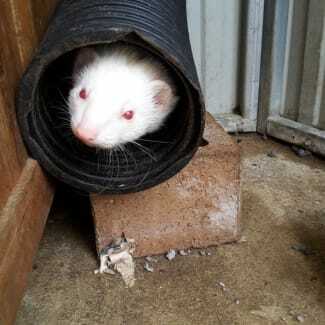 NSW Ferret Welfare Society Inc. 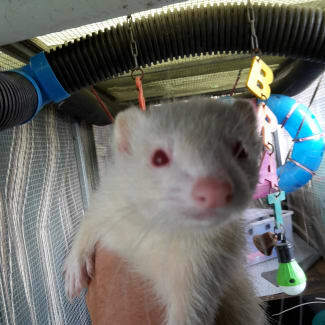 The NSW Ferret Welfare Society does not breed ferrets for sale or recommend breeders. If you have received information from a breeder claiming to be selling ferrets as an authorised member of the Society please let us know. 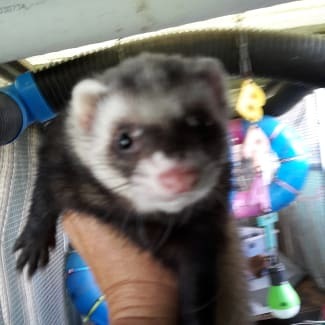 Our Society sells ferrets that are rescued or surrendered. 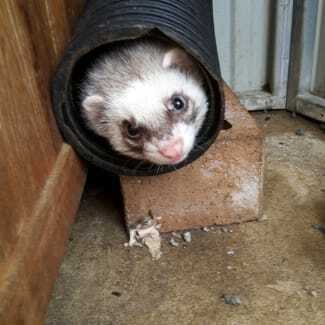 More information on obtaining a ferret is available at www.ferret.org.au. I am an adorable playful girl. I am bonded with Ben and when we play together we can be very entertaining. I am litter trained. I am inseperable from my partner Bear. We are a pair of adorably cute well behaved ferrets. We have been extremely spoilt, but unfortunately we need a new home. We will keep you entertained for hours and love you unconditionally. I am inseperable from my partner Maisie. We are a pair of adorably cute well behaved ferrets. We have been extremely spoilt, but unfortunately we need a new home. We will keep you entertained for hours and love you unconditionally.